What can happen if I get caught driving on a suspended license? 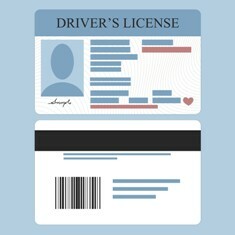 Because most people rely on driving a vehicle to get to work and take care of family and personal affairs, it can be devastating to have a suspended driver’s license. Public transportation may be readily accessible in some cities in North Carolina, but it may be unavailable, time-consuming, and expensive where you live. As a result, you may find it almost impossible not to drive—even if you have a suspended license. However, if you are caught, you could face even more serious penalties. Why Are Driver’s Licenses Revoked in North Carolina? What Are the Penalties for Driving While Your Driver’s License Is Suspended? DWLR. You could be convicted of this offense if you drive a motor vehicle on a highway—which is broadly defined to include most roads—while knowing that your driver’s license has been revoked. This is a Class 3 misdemeanor, but under the new law, a violation may not result in an additional driver’s license suspension. Impaired driving suspension. It is a violation of the law to drive when your license has been suspended for impaired driving, and you have received a required notice under North Carolina law of the suspension. This is also a Class 1 Misdemeanor, and a violation could result in an additional driver’s license suspension. Driving without reclaiming license. If you are charged with DWI, your driver’s license will be immediately revoked. If the time period for the revocation has expired and you have not reclaimed your license, but are caught driving, this is a Class 3 misdemeanor. Under the new law, this violation may not result in an additional revocation of your license. Driving after notification. If you drive after failing to appear for a DWI (Driving While Impaired) court date or after receiving a notice from the DMV that your license has been suspended, this remains a Class 1 misdemeanor. You may face an additional driver’s license suspension. Rather than try to handle your case on your own, we recommend speaking with a traffic ticket lawyer to understand how the legal process works. If you have been charged with driving while your driver’s license was suspended, our experienced traffic law attorneys are here to help you fight the charges you face. Depending on your situation, we may be able to help you get your driving privileges restored. Call our office today to schedule your free case evaluation to learn more about your legal options.